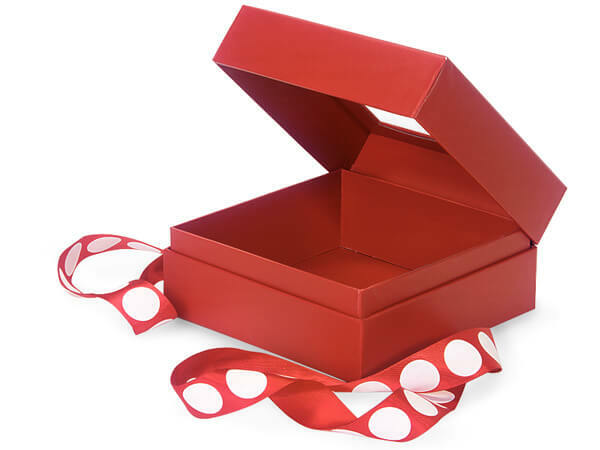 Medium size Solid Red Gift and Gourmet Presentation Boxes sold by the carton. Each ribbon tie is around 22" in length. This is a Nashville Wraps exclusive design! Great for Christmas or Valentine packaging! Inside dimensions are: 5.5" L x 5.5" W x 2.75" H.